The Department of Electronic Engineering was established in the year of 2000. We have a four-year undergraduate program and a Masters Degree program. The curriculum can be basically categorized into two major programs that cover a wide range of electronics-related fields: The Electronics & Systems Program and The Computer Engineering & Networking Program. Through the dedicated programs, the students learn professional discipline and the ability to identify, formulate, and solve problems. The Department always incorporates advanced fields into this department's curriculum with equal emphasis on theory and practice. It offers courses to develop students' skills in electronic design, manufacturing, and application. We also encourage and advocate students to participate in national competitions and the National Science Council's monographic studies. In summary, the Department of Electronic Engineering aims to develop specialized knowledge in electronics engineering and cultivate electronic specialists. 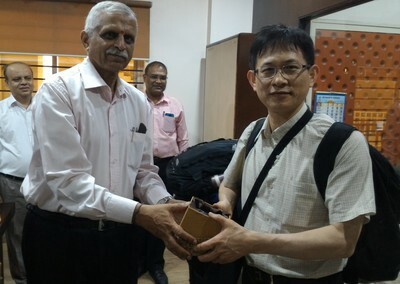 Visited Chamei Devi Group of Institutions in Republic of India on April 21, 2016. 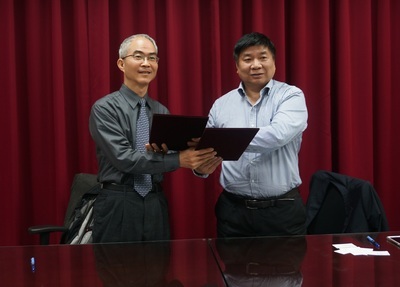 Signed the MOU with Professor Pei Min Lu of Fuzhou University at Ming Chi University of Technology on April 1, 2016. 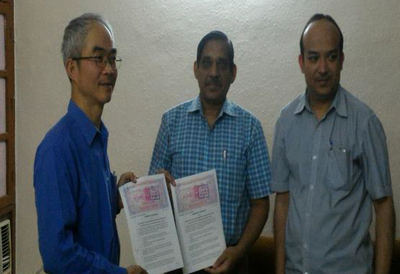 Signed the MOU with Professors of IIT (BHU) in Republic of India on April 21, 2016.